Bad Grandmas DVD and Blu-ray release date not announced and available on Digital HD from Amazon Video and iTunes on January 15, 2018. With these four grandmothers, you never know what's going to happen. Unlike some of their fellow grandma friends, this group is more active than you can possibly imagine. When the unfathomable occurs-they accidentally kill a conman-suddenly they find themselves in a world of trouble they had never imagined before. And they don't even have time to process what has occurred, because it turns out that the conman's partner is onto them-and he is out for blood. 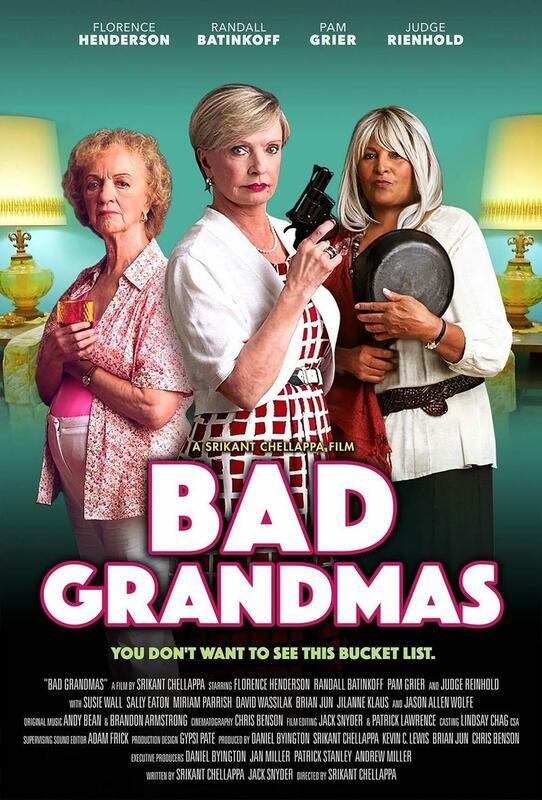 DVDs Release Dates is the best source to find out when does Bad Grandmas come out on DVD and Blu-ray. Dates do change so check back often as the release approaches.